There are some exercises that are more dangerous than others. If you are a beginner (without a personal trainer) you should avoid them. Not only exercises are dangerous – your attitude to training and sport is more dangerous. 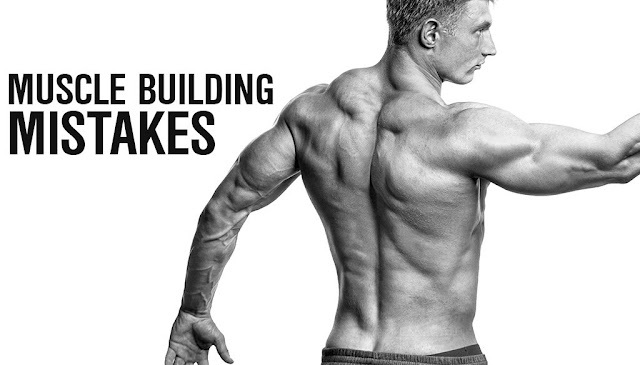 There are some things that you should bare in mind when training, when dieting, when trying to build muscle. All of these things I will list down you should know as ABC. 1)Hard cardio (aerobic) can stimulate heart attack. I won’t say that you shouldn’t do cardio! Not at all. But you shouldn’t force your body, you should feel the line when your body starts to damage itself. But heart attacks does happen, even to famous athletes. 2)Improper technique on bench press. You can black out because of improper breathing – this can happen because you need to generate a lot of power and your brain can run out of oxygen giving it to muscles ( and other reasons on this one ). If there are no spotters – I hope you are lucky. People die from this time to time… breathe properly. 3)Bad attitude – acting foolish. If you want to be clown – go and scare kids on streets or whatever. You have NOTHING to do at gym. IF you lift – lift hard and concentrated. Another thing is that some people don’t take weight lifting seriously – they don’t warm up properly etc. but you should warm up and do everything right just like in the army! If you can’t do some exercise properly – replace it with some that you can. If you will act foolish you will hurt yourself badly and you can’t blame the weights about it – blame you and your attitude! 4)Don’t think of lifting as ”Little is good – more must be better!” no no no. You shouldn’t exercise too often (3 days a week is ok), you shouldn’t exercise too long (45-90 minutes is enough). Exercising with the right frequency will help you prevent injuries and over-training that can have some serious consequences. Even your immune system is wakened if you train too often and too long. You should avoid some dangerous exercises such as - behind-the-neck presses, behind-the-neck pull-downs, and squats in a Smith machine, or dips with weight hung around your waist. 6)Improper technique – this is a killer one! For example bouncing weight of your chest while doing bench press. Or bouncing the weight up while performing squats – this means a blown out knee! Injuries will haunt you all of the time, so better do everything clean. 7)Don’t lift too heavy – leave your ego outside gym. If you can’t lift it properly – don’t lift it. 8)Momentum. Every and each one of the serious athletes out there will laugh at you if you will use momentum while performing exercises. Perfect speed, technique = perfect results = perfect muscles. You need not only to work hard, you need to work smart! You can’t use only your muscles – you must use your biggest muscles – brain. Good luck in building muscles and putting on some serious and lean mass.